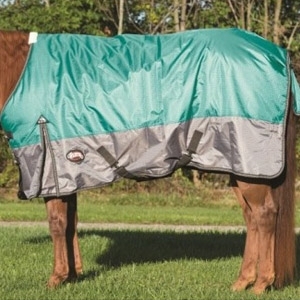 Weaver Premium Rainsheets have a multi-purpose design for use as a rain sheet, windbreaker, or summer lightweight turnout. The breathable mesh is great for warmer weather. Two-tone design with a gray bottom and binding. Reflective accents for added visibility. Adjustable front closures with a snap.